Good Friday marks the start of the Easter Weekend holiday period. Good Friday has its origins in the christian faith known as the day on which Jesus Christ was crucified. Over the Easter weekend, Christian's traditionally eat fish on Good Friday and in Australia the old Fish and Chip shops do a roaring trade. Good Friday morning is also the morning that we enjoy warm Hot Cross Buns. Easter is celebrated in Australia's Autumn season and it is normally still quite warm thru those months of March and April. School holidays are generally on at these times too with the end of Term 1 for most Australian schools. Hence many families will use he time to get away and have a holiday. Many go camping but also many more visit ciites around Australia to take in the sights and activities the great cities have to offer. And many restaurants and venues are open to welcome guests for meals and accommodation. Great Ideas for things to do over the Good Friday and the Easter Holidays. 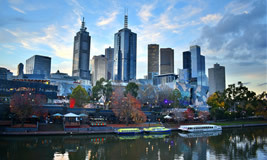 See what's on for Good Friday in Melbourne. 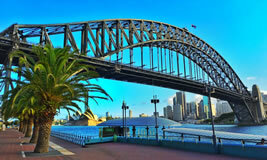 Sydney is fun any time of the year and there are so many activities on and off Sydney Harbour. With Good Friday being in Autumn the Sydney weather will be spectacular. We have for ideas for things to do whether it for family and friends or just yourself. So get out and about in Sydney this Easter and enjoy. Go on ... the seafood in Sydney is some of the best around. Checkout the Sydney Good Friday ideas. In the West of Australia, Perth is ready for fun on any of the Big Days. But with Easter starting with Good Friday it's time to out and about near the Swan River or Kings Park. Or see what some of the fabulous restaurants and hotels like The Aviary and Guildford have on offer. And if heading off for the long weekend why not head to the Vines Resort and stay and enjoy it's delights. 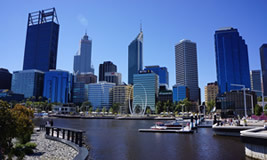 Perth is awesome all the time and at Easter teh sun will be warm and the fun aplenty! Enjoy it. Easter Sales... Come and get the bargains. Sale suggestions over the Easter/Autumn period. Easter Specials galore!